Welcome to our June newsletter. We have put a lot of work into compiling the best recipes, tips and tricks, chef interviews and industry news which we hope will inspire you for continued success with sous vide cooking. We would also like to remind small business owners that the end of financial year is fast approaching, and if you’re looking for a way to take advantage of depreciation and tax deduction laws, then now is the time to invest in a premium quality sous vide appliance. Plus all of our products are backed by full warranties and local repairs, which will surely give you peace of mind. 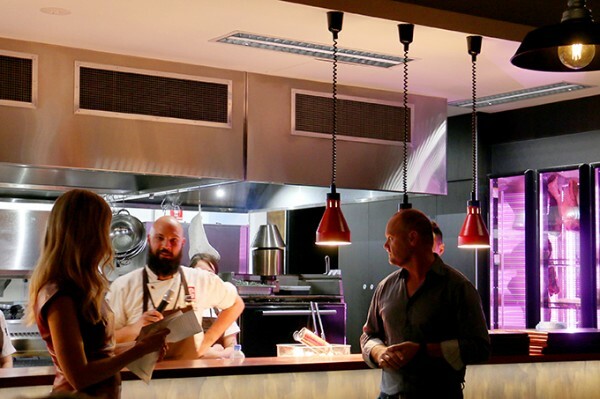 Anthony Iscaro is a very talented Melbourne chef, who originally trained in the beautiful Yarra Valley, then moved on to a role as sous chef at Yarra Valley Lodge and The Melbourne Arts Centre before returning to the North-Eastern suburbs of Melbourne to launch the Eastridge Entertainment Precinct. If you haven’t been yet, this is a top notch development that really lights up the region in terms of its class and gourmet offerings. 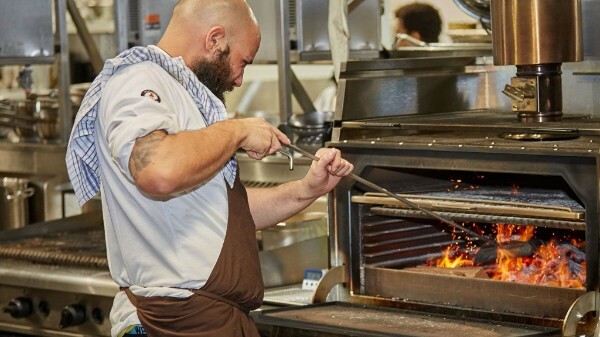 We asked Anthony a few questions about the benefits of sous vide cooking and how he uses it at the Carne Grill, which is one of the best steak and meat restaurants (let alone seafood and other grill dishes) in Melbourne, and some of the other great bars and cafes he looks after…. A few years ago the MD of Clifton Commercial, Melvin, was chatting to a friend that owns an ice cream parlour. His friend wanted to be able to serve caramel sauces that were warm, which the customer could add to their dessert. Melvin took this idea to Clifton’s design team and voila! – the Clifton Bottle warmer was born. Although the Clifton Sauce Bottle warmer was designed to keep sauces and liquids warm for ice cream shops, it didn’t take long before chefs started to show interest for dressing plates. 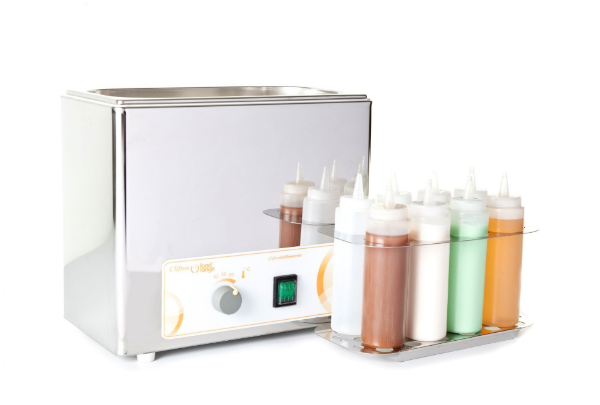 The bottle size is ideal for fluid gels, sauces and oils that you need at a defined temperature for serving. The Sauce Bottle warmers are safe for customer use and keep the pass neat and tidy with your sauces hot and ready to use. They can also be used in the pastry section for chocolate sauce, etc. Bars and front of house staff can also use this product for fluid gels, purees, and even cocktails. There’s nothing like the pleasure of enjoying a fabulously decadent winter dish. 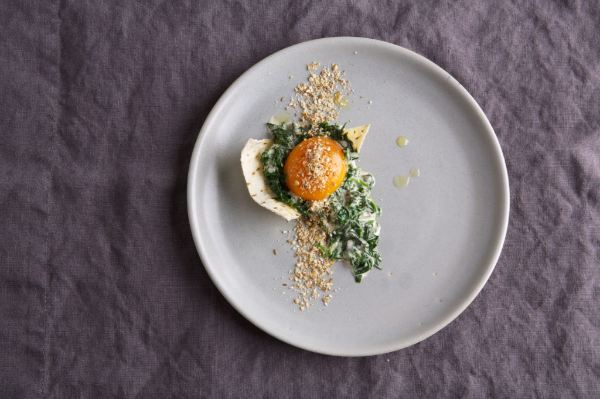 We love how sous vide egg yolks take on a velvety custard texture, which really combines well with the great dukkah flavours. And if you use duck eggs, then you’ll enjoy the larger yolk and deeper flavour this stylish dish deserves. For those of you who may not have heard of Matthias Merges, he is a absolute culinary legend in chef circles. 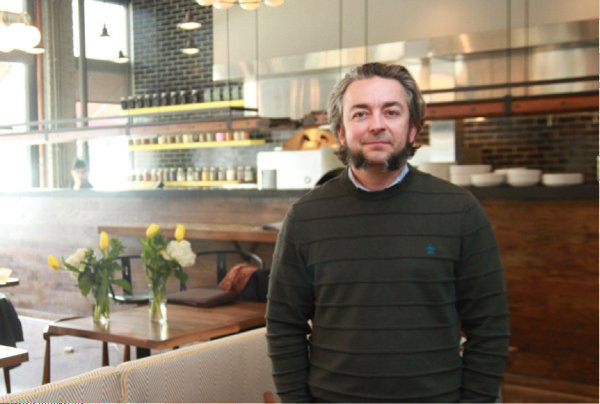 He is the chef and proprietor of Folkart Restaurant Management, which owns many famous restaurants and bars in Chicago, USA, including Hyde Park neighbourhood eatery A10, award-winning cocktail bar Billy Sunday, West Loop bar & restaurant Gideon Sweet, Wrigleyville destinations Lucky Dorr and Mordecai. In the late 90s, Merges spearheaded developing in-flight meals for United Airlines. That hooked him up with a Virginia company, Cuisine Solutions, that introduced him to sous vide– the wonderful technique that involves circulating vacuum-sealed food in a low-temperature water bath to ensure even cooking and maximum juiciness. Cuisine Solutions had pioneered sous vide on an industrial scale, using it to manufacture precooked food that it sold to large institutions like hotels, airlines, and the military. But Merges really wanted to discover a way to get this [technology] from this massive factory into a restaurant kitchen. He wanted a solution that could manipulate the temperature and control it to a point that is so much more refined than he could do with his hands. Trouble was, there were no affordable, readily available immersion circulators on the market. Merges picked up the phone and called PolyScience, which manufactured high-precision temperature-controlled medical and industrial equipment at the time. He reached a customer service rep who had no idea what he was talking about but transferred him to the company’s president, Philip Preston, an avid home cook. Within eight months Preston had formed a culinary unit in his company. Today sous vide cooking is found everywhere in fine-dining restaurants in the US and Australia, and PolyScience is the leading supplier of immersion circulators to restaurant kitchens. And there is very good reason for this! Chefs at all levels believe it adds a whole new level of control of their kitchens because they’re simple, reliable and super accurate.